I love Japanese food. Yes, I do, I really do! In fact, I would crave for Sushi, Sashimi and California Maki whenever I'm stressed. But usually here in Davao, Japanese restaurants are too expensive. But, I shouldn't worry about it now because Tokyo Tokyo, the country's number one Japanese fast food chain is now here in Davao! Almost three decades since the first Tokyo Tokyo store opened at Quad Park in Makati, the country's number one Japanese fast food chain restaurant finally arrives in the VisMin (Visayas-Mindanao) Region - serving their signature dishes to Davaoeños first. "As we officially open the doors of Tokyo Tokyo in the heart of Davao, we hope to open a whole new dining experience for all Davaoeños - one of quality, affordable and delicious Japanese cuisine. We were very happy to be opening not only the first branch to be built outside Luzon, but also the beginning of our long-awaited expansion plans in the VisMin Region," said Tokyo Tokyo's Marketing Manager Joan Pamplona. 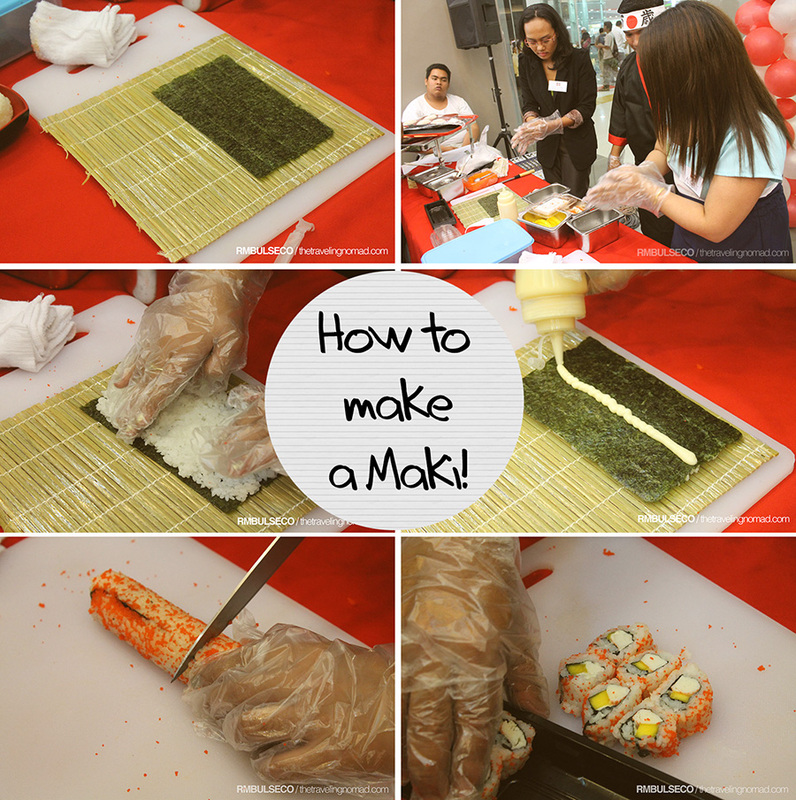 We even had the chance to watch a Maki-making Demo! I never thought that it would be that challenging. Hahaha, wala lang talaga akong tiyaga when it comes to cooking; I'm more passionate when it comes to eating, my favorite hobby. Algene and Swexie had the chance to show off their culinary skills by making their own California Maki! Ala Hell's Kitchen ang drama! Davaoeños will surely love Tokyo Tokyo because they serve unlimited rice. Oh yeah! 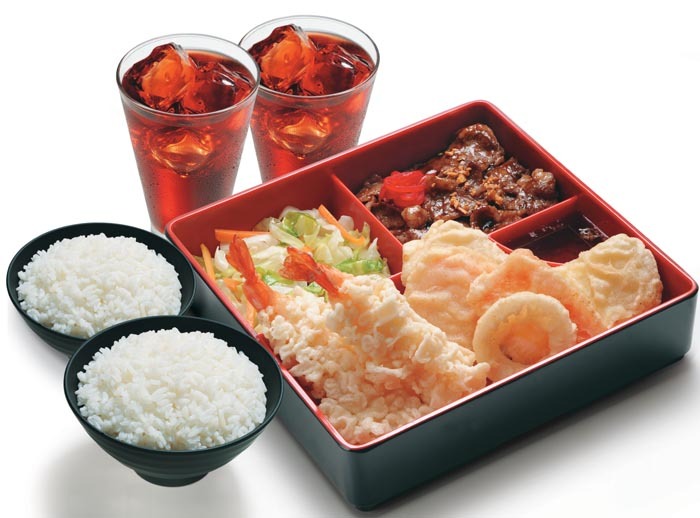 Rice + Prawn Tempura and Pork Tonkatsu plus the all time favorite Red Iced Tea = heaven! 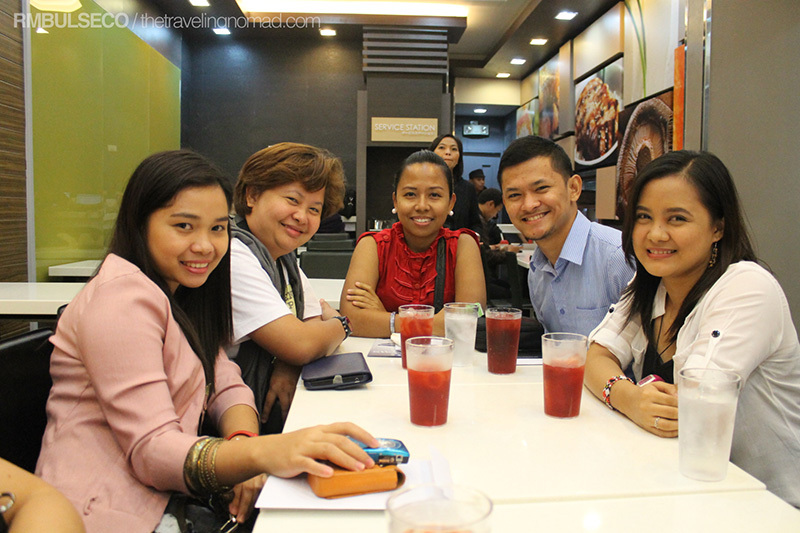 Tokyo Tokyo is located at the third floor of SM Lanang Premier, Davao City. Everytime I visit MOA, dito lng talaga ako kumakain, wala pa kasi Davao noon. hihihi For sure I will frequent SM Lanang, since open na Tokyo Tokyo. Prawn Tempura is my all time favourite! about sa canvassing service ng DPC. My Davao friends would be ecstatic to know this! Haha! ...and oh. P.S. it's nice that I've stumbled to your blog!!! I loooove the layout. Now I know why they say that blog hopping could do me good--after a few not-so-interesting blogs, I found yours. Haha, so yeah. Great job!